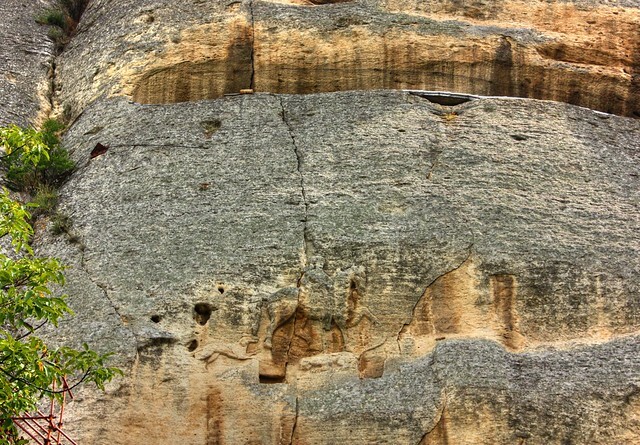 The Madara Rider sits 246 feet above ground, on a cliff face in the Madara Plateau of northeastern Bulgaria. The relief is inaccessible, adding to its mystery. How were they able to create it? With no ladders. No climbing apparatuses. Either way, the relief is extraordinary. Why was the Madara Rider Created? During the first decades of the 19th century stories circulated in monarchistic circles in which Louis XVII was still alive. Some argued that the son of Louis XVI and Marie Antoinette, who both lost their head under the guillotine of the Revolution, had found refuge in the United States. Many of those who desired to become King pretended they were the missing "dauphin". They found willing adherents amidst the various cults that had devoted themselves to the restoration of the Bourbon dynasty. There had been numerous attempts to smuggle Marie Antoinette and her children Louis Charles and Marie Thérèse out of the Temple prison in France. After the execution of the King, the supervision had been slightly downgraded. For instance, the courageous and persistent chevalier de Jarjayes bought two guards. The plan failed as Marie Antoinette would have had to abandon her two children. Consequently, baron de Batz began to tackle the royal family. This reckless adventurer probably was the model for “The Scarlet Pimpernel” of Baroness d’Orczy. Robespierre described him as “a scandal”, because he succeeded, in the middle of the Terror, to save hundreds of people from the guillotine while he himself was never caught. He was so rich that he could buy out half of the Temple guards. Under false names, baron de Batz hired several country homes across France, which would be able to offer sanctuary for the royal family. It was none other than the shoemaker Simon – the guardian of Louis XVII - who heard about this plot, started an enquiry and prevented the abduction. But baron de Batz managed to escape. Even when Marie Antoinette was confined in the Conciergerie, plans were still being concocted to free her. Alexandre Dumas wrote about one such attempt in his novel “La Dame aux Camélias”. Chevalier de Rougeville – in sharp contrast to baron de Batz – had not a single dime to spend, but nevertheless succeeded in buying a few prison guards and visit the Queen. In a little note wrapped around a flower, he informed Marie Antoinette about his plans. During his second visit, he handed to the queen the money with which she would have to bribe one of her personal guards, so that he would turn a blind eye. The conspiracy was however exposed and de Rougeville went into hiding. The greatest prophet of all times did not hide his sympathy for the Catholic Church and the French monarchy. It should therefore not come as a surpise that the prophecies of Nostradamus inspired certain monarchistic organisations, many of whom surfaced during and even before the Revolution. One of these groups – which could be labelled a sect – originated as early as 1722, when John the Baptist appeared to one Loiseaut. John, who had also lost his head, predicted to Loiseaut “blood, thunder and the decapitation of kings”. He therefore addressed Loiseaut in almost precisely the same words as Nostradamus had previously used in his famous quatrain 20 of the ninth century, in which he foresaw the escape of the royal family and their arrest in Varennes. This masterpiece of deception beats all masterpieces of deception. Adolf Hitler who was the truest master of deception was deceived by the Allies during World War Two so thoroughly that Germany lost the war. This deception was the simplest plot of warfare ever conceived and the most effective. It saved the lives of thousands of Allies and won the war. Thanks to Dr. R.V. Jones, a physicist attached to British Intelligence. The masterpiece of deception that won World War Two was the most incredible hoax ever perpetrated in the history of warfare. It was due to the idea of Dr .R.V. Jones, a Physicist attached to MI-6, a section of British Intelligence. Dr. Jones had learned to use tiny metal strips attacked to balloons to disrupt Nazi radar. On D-day June 6, 1944 this deception had Hitler’s best divisions waiting miles away on the other side of the Seine River in France waiting for a phantom Army that never showed up. For D-Day, the Allies blocked German radar except along Pas de Calais. They filled the radar screens with false impressions of approaching planes and ships, all created by Jones and his assistants with tiny strips of foil. You may be wondering, what exactly is a crypt? Why were crypts used instead of cemeteries? They have such a foreboding reputation, and in most cases, they may have, however there was reasoning behind this. You and I perceive them as creepy. A room breathing and speaking death. A dungeon in the pits of the abyss we’d rather avoid at night. For those that reside in the crypts, they mean something entirely different. The Capela Dos Ossos crypt in Evora, Portugal was constructed around the 16th century. The Capela Dos Ossos is a macabre chapel built by Franciscan monks whom believed life could change in a moment, and they urged others to share in this contemplation during prayer. When Hermann Goering’s younger brother Albert was interrogated by US army personnel in Augsburg, he handed them a list with 34 names. The list contained the names of 34 people whose life he had saved. The list was ignored as a fabrication for months. William Hastings Burke’s Thirty Four was published by Evro. It tells the story of Albert Goering, the younger brother of Hermann Goering. Hermann told the US investigators that his brother was the exact opposite of himself, but that he wasn’t a bad chap for all that. Albert is the Goering whom history forgot. Did The King’s Touch Actually Heal Scrofula? In the fourteenth century in Europe, a king was expected to be a strong leader of men and had to have prowess on the battlefield. Edward I of England fitted this description well and spent virtually his whole reign at war, subduing the neighbouring Welsh and attempting to do the same in Scotland. However his son, Edward II, did not share his father’s manly ways, preferring instead pursuits that were not considered worthy of a king including fancy clothes and ammeter dramatics. In an ill fated reign, Edward II would upset some of the most powerful barons of the day and would pay the ultimate price for his ‘feminine’ tendencies. Born in 1284, Edward was the fourth and youngest son of King Edward I, a fierce warrior and a strong leader of men. His son however, had none of these qualities and was heavily criticised by leading nobles for his rustic pursuits, activities that would in later centuries be seen as fitting of a renaissance prince such as rowing, thatching, amateur dramatics and fancy clothes. In a bid to toughen him up, the king appointed him a squire by the name of Piers Gaveston. 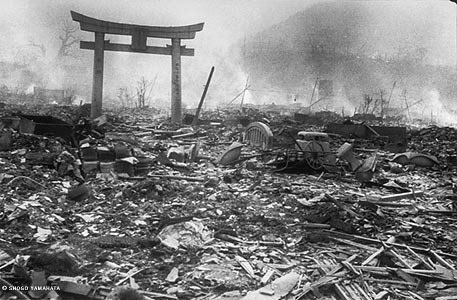 Nagasaki, which lost over 70,000 civilians (and a few military personnel) to a new weapon sixty-five years ago today, has always been The Forgotten A-Bomb City. No one ever wrote a bestselling book called Nagasaki, or made a film titled Nagasaki, Mon Amour. Yet in some ways, Nagasaki is the modern A-bomb city. For one thing, when the plutonium bomb exploded above Nagasaki it made the uranium-type bomb dropped on Hiroshima obsolete. In fact, if it had not exploded off-target the death toll in the city would have easily topped the Hiroshima total. Hiroshima has always drawn the vast majority of press, public and historical interest, even though many who support the first atomic bombing have expressed severe misgivings about number two because of the failure of United States to give the Japanese at least a few more days to consider surrender after the first blast (and the Soviets' declaration of war). Kurt Vonnegut Jr. once said in an interview that the "nastiest act by this country, after human slavery, was the bombing of Nagasaki." The ascent of the mysterious rock had become a pilgrimage for a former French President. An interesting Museum of Prehistory can be be found at its foot and answers one of the greatest riddles in prehistoric archaeology. The very well preserved Knights Templar Chapel with its three tombs is an extraordinary symbol of their presence in this region of France. In 1128, the City of Laon spontaneously supplied Louis VI with numerous militiae. The King of France then encountered an Anglo-Germanic Coalition such as Philip II Augustus had to face eighty-six years later. The wonderful elan of lords and voluntary troops foreshadowed the Battle of Bouvines (1214). In exchange, Louis VI gave the town peaceful institutions with a mayor and jurymen. The same year, in 1128, Bishop Barthélémy de Vir attended the Council of Troyes where, upon approval of Pope Honorius II, Bernard de Clairvaux participated in the elaboration and writing of the Knights Templar Rule. As soon as he came back, the prelate welcomed the Knights Templar and offered them a house on the Rue sainte-Geneviève that would soon become Rue des Templiers. His liberalities towards the knights bearing the white cape and the red cross pattée did not stop here and donations followed at Puiseux where only an underground gallery remains today, at Thouny where a ruined chapel still exists and at Cerny-en-Laonnois and Bertaignemont where not even a stone of the old Templar houses still stands. The Château d'If (close up). The Chateau D’If, constructed on a tiny island in the Bay of Marseilles in France, was erected as part of the island’s defenses. It was constructed by Francois I, its purpose initially for military use, however it was never put to the test.